I’m not sure when I first became captivated by Hildegard of Bingen, 12th century German Benedictine magistra, visionary, composer, spiritual counselor, author, physician. I just remember back in the late ’80s, when I worked as a library specialist at Stanford University, standing in the Stanford University Bookstore at the Gregorian chant section, holding a book on Hildegard’s chants, Symphonia by Barbara Newman. As a former student of medieval and Renaissance music, this book represented a marvel. 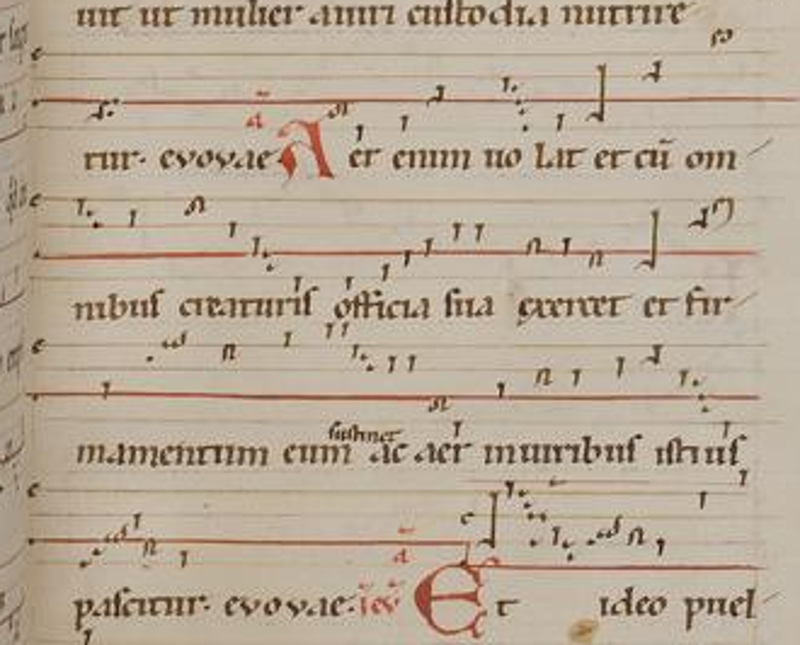 Here was not only a collection of plainchant by someone other than “anon.,” but this individual was a woman. And when I listened to her music I found that her compositions held both the qualities of Gregorian chant that moved me so deeply, and also soared, dipped, and swept into unexpected realms. Her music is often described as “angelic.” But to me her music carries none of the New Age connotation of that word. Her music speak to me of Heaven indeed, angelic realms of power and cosmic reality, and also of her understanding of the element of Air, and Air’s qualities and physical life, Air’s own nature as part of a universal whole. Here is a video of the early music ensemble VocaMe performing “Aer enum volat,” the chant in the image below. Aer enim volat – “As air flies” (Psalm Antiphon for Psalm 148 at Lauds for St. Ursula and Companions) – composed by Hildegard of Bingen. Doesn’t the notation look like a bird song sonagram? aer in viribus istius pascitur. and the air is nourished through this enfolding. If you enfold yourself in the music and attend to the words, feeling Air move around you, and also flowing in and out of your own body and moving with your breath, perhaps you too will feel the enfolding structure of Heaven sustaining and nourishing Air. And perhaps you’ll feel yourself sustained and nourished in turn, both by way of Air and other forces both unseen and physically perceived. What is your experience? Two decades after meeting Hildegard by way of her music, I engaged in herbal study with clinical herbalist Heather Nic an Fhleisdeir. One of my first assignments was to read a text by an ancient herbalist. Included in the list of possibilities was Hildegard of Bingen and her two works Physica and Causae et Curae. Hildegard! The chant composer and visionary! I had no idea she had been an herbal physician as well. I managed to locate a book that contained a section of Physica, and read it. The very different understanding than mine that Hildegard’s words seemed to present of the plants and other natural substances blew my mind. Different understandings and perceptions — and yet, at times, the soar and dip and sweep of her language — like her settings of sacred text to melody — made her meaning enticingly clear. In some earth of my being I knew what she was talking about. At least to some degree. Here then is my “herbal review,” written almost a decade ago. 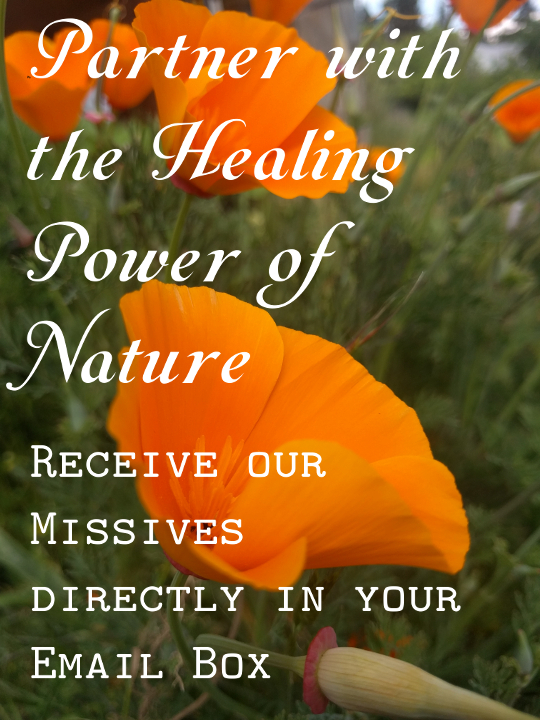 I see how my upcoming workshop, Hildegard of Bingen’s Medicine, is a continuation of a quest begun with this brief report, a quest in which I now have amassed enough experience and practice as an herbalist to have both more answers and more questions. I’ve added two quotes, drawn from the book Hildegard von Bingen’s Physica – translated from the Latin by Priscilla Throop (as that is the edition I own now) so that you can better understand my discussion in the review, plus a couple of notes from me in brown. In my next blog post, I’ll take more time with one or two of Hildegard’s entries, unfolding more fully the world that her words may contain. 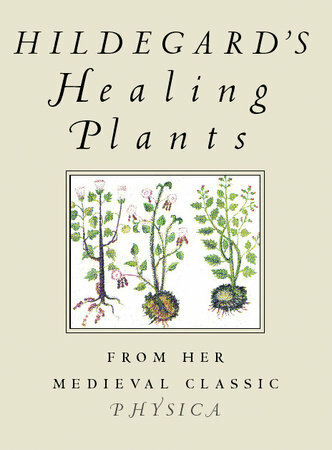 I’m curious to hear what thoughts arise for you as you read this herbal review and glimpse something of Hildegard’s medieval and singular world. Feel free to comment below! to or connect them with my own understanding, I might deepen my sense of the world in general and various plants in particular. Hildegard’s advocacy of certain herbs, and thoughts upon them — their nature, what they are good for, and how they might be used — are invariably of an ‘alternate reality’ from my own. In some cases, I recognize that we’re talking about the same plant, and my perceptions are widened and deepened, or satisfied in some way. In other cases, I just to observe the words and wonder: her experience of the plant is not mine at all! … Or at least not on the surface. But then it’s that “common name” syndrome: are we indeed talking about the same plant? Examples of the former (deepened or complementary understandings of a plant and its uses): Lavender, Garlic, Nutmeg, Cumin, Violet, Yarrow …. Lavender (lavendula) is hot and dry, having very little moisture. It is not effective for a person to eat, but it does have a strong odor. If a person with many lice frequently smells lavender, the lice will die. Its odor clears the eyes [since it possesses the power of the strongest aromas and the usefulness of the most bitter ones. It curbs very many evil things and, because of it, malign spirits are terrified]. [from Hildegard von Bingen’s Phyisica, trans Priscilla Throop]. –(Note from Jane, 2/19/19: I’ll unpack this entry more in the next blog post, but if you’re familiar with lavender you may sense how your experience with lavender may correspond with the words here). I’m intrigued by her negative descriptions of various herbs and foods that I consider “good” and “nourishing”, such as eggs, and various grains like millet, and leeks and Welsh onions (why are leeks a national symbol of an entire country — Wales — if they have “swift and useless heat in it”?). On the other hand, closer reading of preparations of, say, leeks, bring the writings into clearer sense for me. In reading all the entries I grow enamored of the idea of warming the herb in some wine, and/or cooking various herbs in a little vinegar and honey, and/or making them into a paste to spread on bread. Mmm! The writings here definitely open my world to alternate possibilities and understandings. I suppose the big ‘ah ha’ for me is that sense of enlarged possibility for having different perceptions of the same reality, and a musing about how a different culture, climate, soil, land might cause a person or people to experience herbs differently than I might, due to living in another climate, place, and time — that some herbs might have negative effects to a people because of their living conditions, while the same herbs might be healthful to another group of people. Ah, the next time we have wine, I’m going to set aside some to warm an herb within and try it out for myself …..! I love how with each turning of the year, I discover more and more of the deep mythic heart of the world. In so much that on surface seems mundane and superficial in what I perceive as the post-modern world, are truths that are powerfully present — as if in sleep or hibernation, or awaiting the time, like King Arthur and the knights in a cave, when the people and the land have most need of them. And so, in various areas of my life — and perhaps you are finding it in yours — I discover power, beauty, mischievous and awe-inspiring magic. Here as our wheel round the sun tilts furthest toward the longest night, I am finding our world rediscovering who Santa’s flying reindeer really are. As a child, crazy about deer (still am), my favorite Christmas story was that of Rudolf the Red-Nosed Reindeer. As a young adult I strode away from anything reeking to me of commercialism around the holidays. Eventually I became aware of so much majesty that moves through our dreaming at this time of year, in our participation in the circling of the year, and embodiment of earth’s energies as we tilt away and toward the sun again. As ancestral myths and sacred knowings resurface, I feel myself turning the Sun, and the Soul of the World with eyes and heart that once again know wonder and awe, and the child nature that is ready to fly with the deer in the starlit longest night sky. 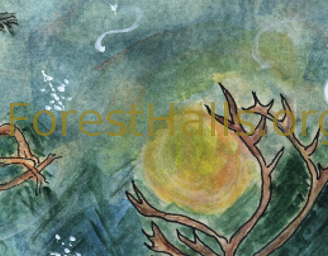 As we approach the Solstice, what magic are you discovering or rediscovering from an ever-deepening heart-space? 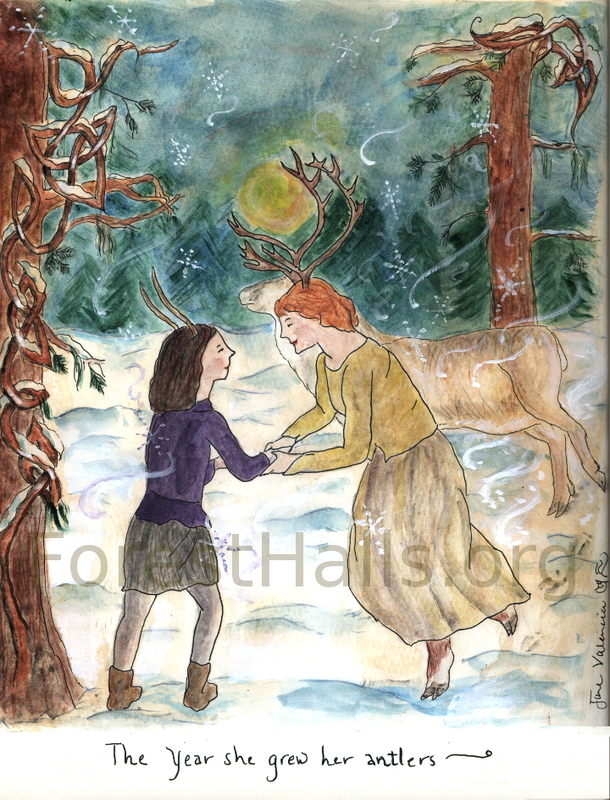 Seven women present art, musings, and more about their relationships with the ancient Deer Goddess and the Deer. I am honored to be included. You’ll find photos by me there, plus a link to “The Abbots Horn Dance” — Celtic harp music by Spookytree, my duo with Deb Knodel. At that link you can listen to and, through the end of this month, download the track for free! Finally, I finish here with an illustration. Wild Sweet Blessings to you in this Season of Light!